Award-winning duo Deborah Hopkinson and James E. Ransome combine their talents once more for this sequel to the best-selling Sweet Clara and the Freedom Quilt. 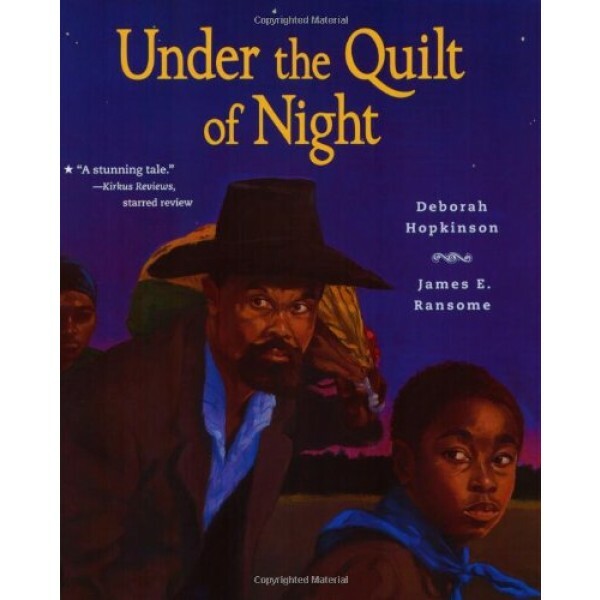 Traveling late one night, a runaway slave girl spies a quilt hanging outside a house. The quilt's center is a striking deep blue -- a sign that the people inside are willing to help her escape. Can she bravely navaigate the complex world of the Underground Railroad and lead her family to freedom? Under the quilt of night a young slave girl leads her loved ones away from the slave master who worked them: "hoeing and picking, / mending and sewing, / till my hands got raw." 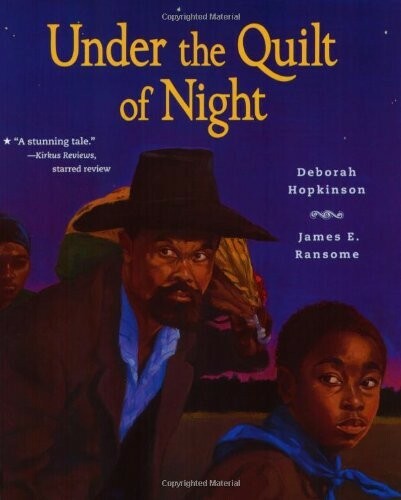 In this striking companion to Deborah Hopkinson and James Ransome's Sweet Clara and the Freedom Quilt, Hopkinson uses the rhythm of verse to echo the drumming of the slaves' feet as they travel along the Underground Railroad in pre-Civil War times. Ransome's oil painting illustrations are rich with the purple hues of night, and fraught with the tense emotions of the men, women, and children trying to escape--and those helping them. Deborah Hopkinson is the author of numerous award-winning children's books, including Sweet Clara and the Freedom Quilt, winner of the International Reading Association Award, Girl Wonder, winner of the Great Lakes Book Award, and Apples to Oregon, a Junior Library Guild Selection. She received the 2003 Washington State Book Award for Under the Quilt for the Night.